People who run food-related businesses such as a bar, know that providing excellent customer service and high-quality products is not enough to run a successful bar. A bar can have any number of accidents; things like a fire emergency, a bar brawl, or another accident can happen unexpectedly, and without warning. Hence, to run the bar smoothly without any foreign interruption, a bar insurance is very important. Bar owners might not consider insurance as they are not well-aware of its benefits. Bar owners who are aware of the benefits tend to make mistakes in asking the right questions from their insurance firms. If you’re looking for buying a bar insurance in your area, there are certain things you need to know about the insurance firm’s coverage. What are the risks which the policy covers? The main thing that you want your policy to cover is the risks. If one of your employees serves contaminated food to the customer, the customer might sue you in return. These risks should be covered in your insurance policy. Other risks such as fire accidents, electrical failures and short circuits should be included in the insurance policy in order for your bar to run smoothly. Is the insurance firm trustworthy? Make sure you cover this point thoroughly. In the 21st century, insurance fraud has become quite common. Make sure that you ask for your insurance firm’s history. Do some research over the internet to make sure that it’s a reputable insurance company. Any solid business will have a website of its own. Ask around from other bar owners and find out if anyone has ever heard of the insurance firm you’re about to select. Does the firm specialize in business insurance? Make sure that your insurance firm specializes in business insurance. This will ensure professionalism. If you’re buying a bar policy, dig deeper and ask if they’ve sold any policies to any bars lately. Make sure that your insurance firm is reputed in selling business insurance policies, especially, bar insurance policies. Does your insurance company cover Liquor Liability? 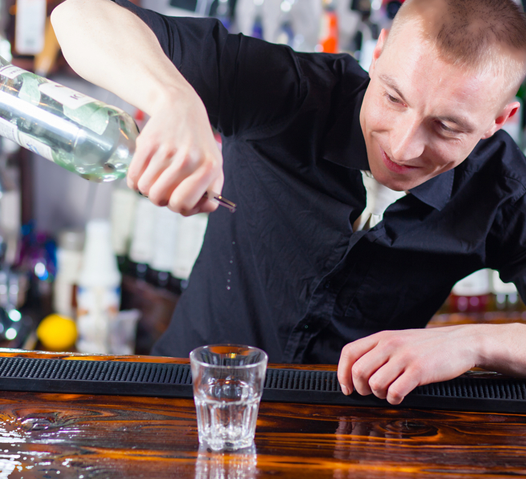 This is one of the most important things that your bar insurance policy should cover. Make sure that you ask your firm if they provide liquor liability in their bar policy. For instance, you have a bar brawl between too drunk patrons. One of them decides to sue you for not having proper security. Liquor liability can help save you from any charges and unwanted trouble. What is the deductible in the policy? The deductible is the amount you have to pay when an insurance company covers damage or any other aspect. When you’re buying a bar insurance policy, make sure that the deductible is not high as that might be more of drawback rather than benefit of your bar insurance policy. Asking these questions from your insurance firm before buying insurance for your bar can save you from future troubles. These simple things can help you pick the perfect insurance company for your bar insurance. Author Bio : Hi I am James Jones, a writer and blogger working as SEO Consultant lives in Bossier. I have a passion for writing and could write on any topic. Be In Touch With Me On Twitter, Facebook , Google Plus.